Bob Corker, Bob Menendez: Iran’s Supreme Leader and Congress May Just Kkll Obama’s nuke deal. Pre-emptive striker: Republican Sen. Bob Corker of Tennessee speaks during a Senate Foreign Relations Committee meeting on Capitol Hill in Washington, D.C, on April 8, 2014. Congressional Republicans are about to take their best shot at scuttling the recently negotiated international nuclear agreement with Iran. On Tuesday afternoon the Senate Foreign Relations Committee is expected to pass legislation mandating congressional review of the agreement, which the White House and its partners in the P5+1 hope to finalize before June 30. As of Monday, it wasn’t clear if the bill had the 67 votes in the full Senate needed to overcome a presidential veto, but sponsor Sen. Bob Corker seems optimistic that recent tweaks have gained him the necessary Democratic support. The so-called Corker-Menendez bill—freshly indicted Democratic Sen. Bob Menendez is the co-sponsor—would give Congress a 60-day review period to examine the agreement after it’s finalized, during which President Obama would be barred from waiving sanctions on Iran. While only Congress can lift sanctions entirely, Obama had been counting on using his executive authority to indefinitely waive sanctions in return for Iranian nuclear concessions. During the review period, Congress could pass a resolution approving the agreement, in which case it would go forward. Or congressmen could reject it, in which case Obama would be barred from lifting sanctions. Or they could do nothing—in which case, after 60 days, Obama could go back to doing whatever he wanted. Congress being Congress, the last outcome seems most likely. Democrats have been pushing for changes to the bill that would give Obama some latitude to waive sanctions during the review period. Some have also been trying to remove language certifying as part of the deal that Iran stop sponsoring terrorism, a serious problem to be sure but one not directly related to the nuclear program. On Tuesday, Corker said the final bill would include language about Iran’s non-recognition of the state of Israel. It’s not clear exactly how this would be worded. The White House will see these clauses, justifiably, as evidence that there’s no realistically achievable bill Republicans would support: Essentially Congress is demanding that the Iranian government agree to no longer be the Iranian government. Assuming that the final deal looks like the description the administration released earlier in April, the Corker bill should be a brief hindrance rather than an existential delay. Some Democrats may want to ensure that Congress plays a role in approving the deal, but they, or at least a veto-proof number of them, are unlikely to vote to kill a deal that includes the Iranian concessions currently on the table. And P5+1 diplomats have said they don’t intend for sanctions to be lifted until the International Atomic Energy Agency can certify that Iran is in compliance with the terms of the agreement. That process could take up to six months, after the June 30 agreement, so two months of congressional review shouldn’t be an issue. The problem—and a much bigger issue for Obama than Congress—is that it’s not clear the Iranians see it that way. The language on the pace of sanctions relief was left deliberately vague in the framework agreement this month, and the U.S. and Iran almost immediately began squabbling about whether relief would be gradual or immediate. There ought to be a way to thread that needle—sanctions could be “immediately” lifted upon IAEA certification, for instance—and ideally the two sides could work this out in the next round of talks, due to begin in about a week. 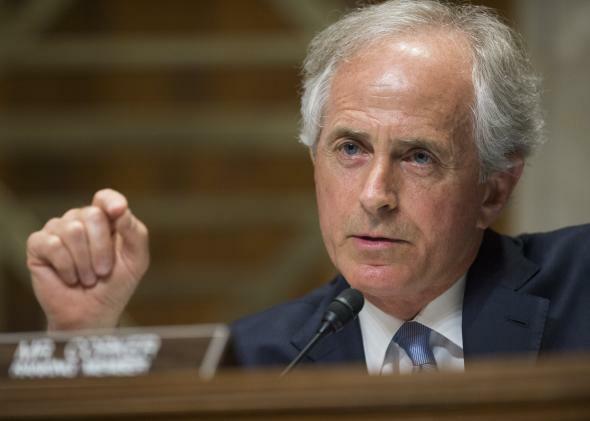 Unfortunately, recent high-profile statements from President Hassan Rouhani and Ayatollah Ali Khamenei have made clear that when the Iranians say “immediate,” they mean the day the deal is signed—exactly what the Corker legislation is meant to prevent. When combined, the pre-emptive demands of Iran’s supreme leader and the U.S. Congress may just derail this thing. Update, Apr. 14: The White House said on Tuesday afternoon that Obama would be willing to support an amended version of Corker’s bill. According to the Washington Post, under the new compromise reached by Republicans and Democrats on the committee, the review period would be shortened from 60 to 30 days. During that time, Obama could waive sanctions enacted through presidential action but not those levied by Congress. The compromise bill would also call for a congressional vote on the lifting of sanctions rather than an up-or-down vote on the deal itself. By supporting the watered-down bill, Obama is, in effect, agreeing to enter into law the administration’s previously stated position that full sanctions relief won’t come immediately upon the signing of the agreement with Iran. That may smooth things over with Congress for now, but it won’t make negotiations with the Iranians any easier.